A trio of villains make their appearance. 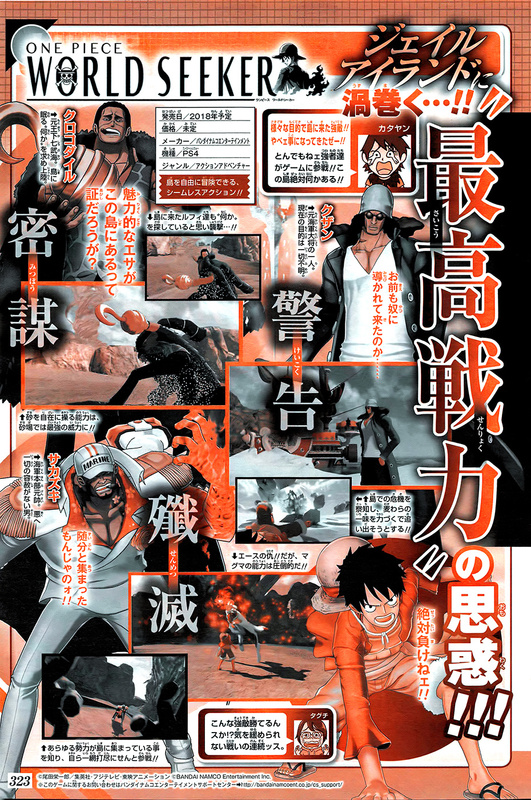 Crocodile, Kuzan, and Sakazuki will appear in One Piece: World Seeker, the latest issue of Weekly Jump reveals. While the story of One Piece: World Seeker is a parallel story to the main work, it appears that what Sakazuki did to Ace has not changed.